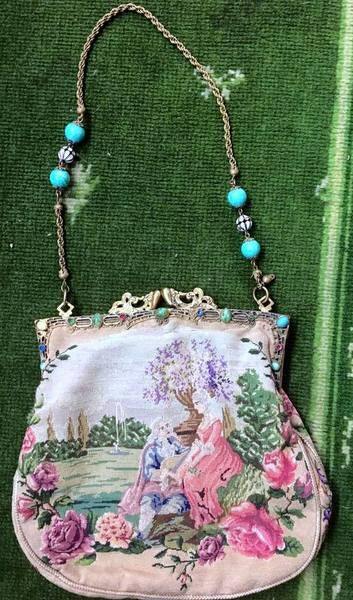 BEAUTIFUL vintage fabric purse that looks like a tapestry! Picture of lovely lady in a pink dress with her suitor in blue. The flowers are mauvey pink and there are tons of green and violet. The link straps are decorated with beautiful turquoise, and black and white beads. 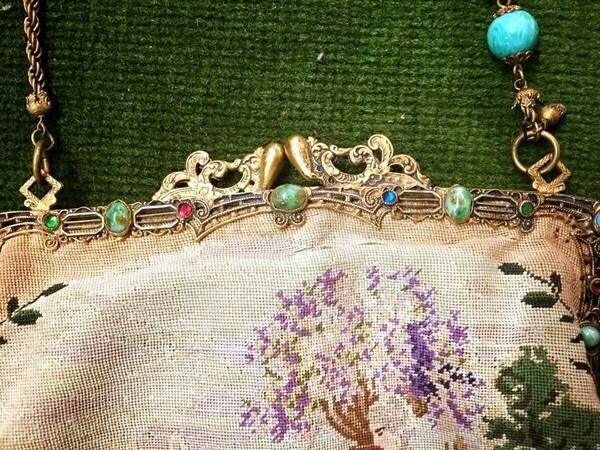 The frame is also decorated with beautiful glass beads. 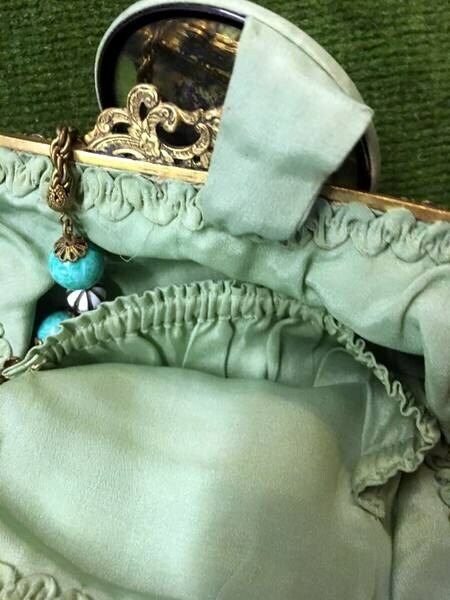 The silk purse lining is in lovely shape. 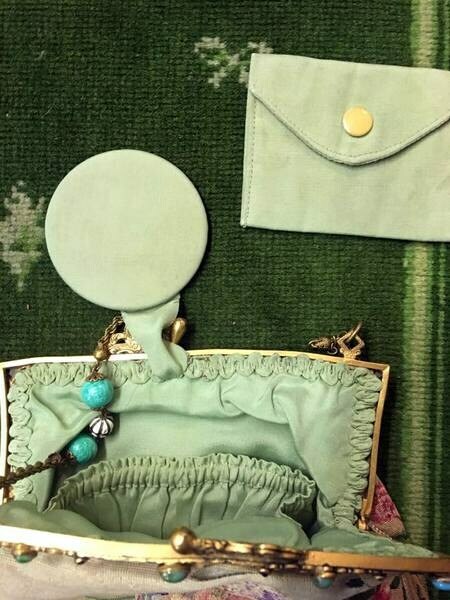 Its a light green and inside you will find a small mirror and change purse. 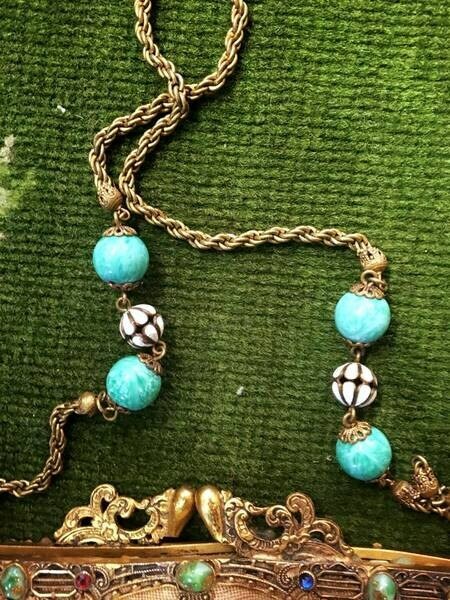 The The clasp is loose but could be tightened. The purse measures 7" X 7"